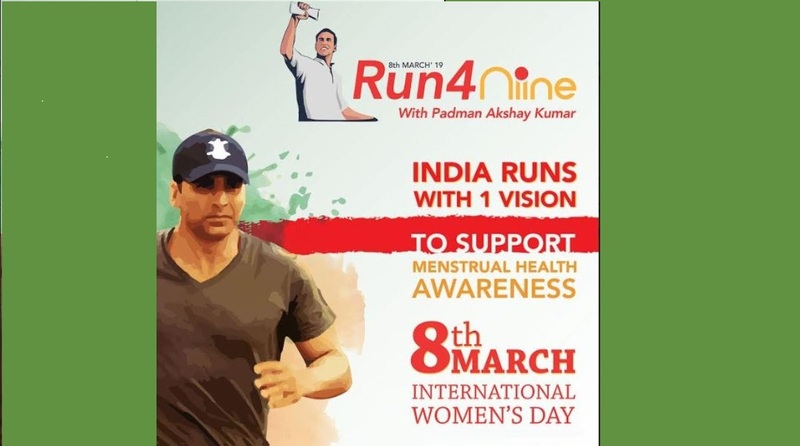 This International Women’s Day, you can run with ‘Pad Man’ Akshay Kumar to create awareness about menstrual hygiene across India and become part of a world record! The nationwide event Run4Niine, part of the Niine Movement, an initiative by Niine Sanitary Napkins. The five-year plan aims to engage with social taboos associated with menstruation by involving people from all age groups and genders. The campaign aims to bring together government, corporations, and NGOs to achieve the objective. Akshay Kumar has shared a video on Twitter in support of this initiative, calling upon all ‘Pad Heroes’ from across the country to join him. Online registrations have begun for the event which is to become India’s largest nationwide run for menstrual hygiene awareness, with the hope of setting a Guinness World Record for ‘Largest Number of Runs in a Single Day for Menstrual Hygiene Awareness’. Akshay Kumar will flag off Run4Niine in Lucknow, on 8 March 2019 and participate in a special event to be hosted at Sahara Shaher. 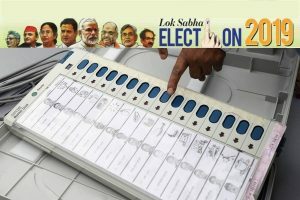 The event is taking place in hundreds of cities across the over 20 states, including West Bengal, Uttarakhand, Bihar, Haryana, Goa, Jharkhand, NCR, Orissa, Andhra Pradesh, Madhya Pradesh, Rajasthan, Gujarat, Chhattisgarh, Telangana, Tamil Nadu, Karnatak, Kerala, Maharasthra, and Punjab, apart from Uttar Pradesh. Run4Niine aims to bring together people from all walks of life “to run, walk, jog and wheel” across their cities. Several organisations, eminent individuals and brands across India have lent their support in various capacities.